The owners of this beautiful colonial were recently recognized and thanked by the Mayor and Village Board of Trustees for their exceptional pride of ownership. 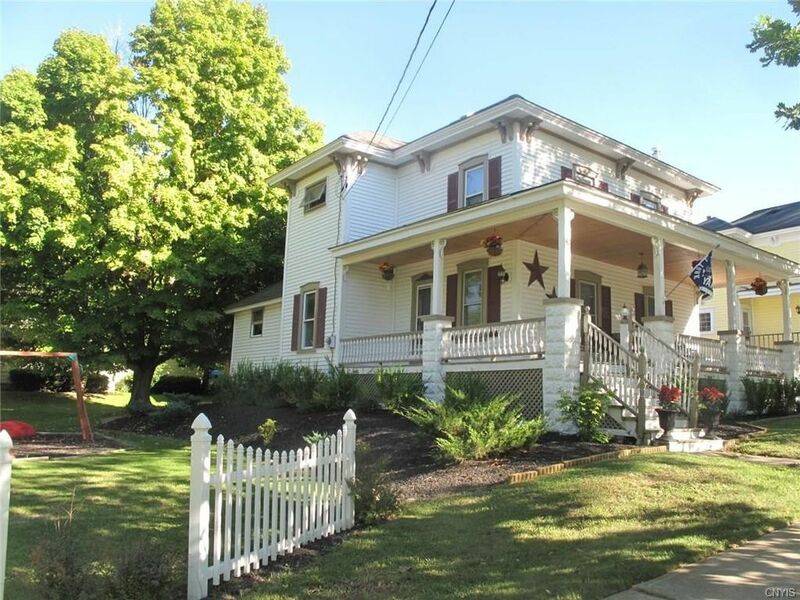 You can sit on the wrap around porch and enjoy the beauty of the ½ acre lot that is framed with majestic maples that will dazzle you; this home was formerly the Post Standards Home of the week. Features include vaulted cherry kitchen with stainless steel appliances, granite countertops, and back splash; formal dining room and oversized living room; 2 full baths and 2nd floor laundry; open oak staircase; updated mechanicals, siding and roof; barn/garage….Wow!